So I'm about to pull the trigger on a dedicated box and guess what, I'm heading into uncharted territory. The crowd here is about as smart as they come and is usually very helpful so I thought 'd ask a few questions. I know plenty (read "enough") about coding and using the tools such as MySQL, GD, PHP, etc... but I know jack about actually installing them. I'm going to get Cpanel as an option, but other than that I'm assuming that I'll need to load all of the above as well as Apache. I guess it comes blank??? The info on dedicated space is a bit gray. Any suggestions on what to install and what RedHat version to run? Any links for running a dedicated box? like me have no idea how to answer your questions. ...Any suggestions on what to install and what RedHat version to run? Far be it from me to offer "smart" advice but I'll get things started here on what will become a very long thread. You are heading into administrator territory here so GUI administration may not be available to you to tweak the box. I'm not aware of the policies at Jag for dedicated boxes so much of what I offer may be unduly limited in scope. If Jag does the OS install for you, get the latest and greatest version that they can support since you may need them to do a tweak or two for you when remote administration isn't working. If you like living on the edge, get the most recent stable release from Redhat if you are married to Redhat. It's a fine OS so not to worry. You'll need to acquire a Redhat OS administration manual (or linux/unix at a minimum) since man pages can be somewhat cryptic. And familiarize yourself with basic commands, security lock-down, and compiling for a start. You may encounter applications that will not install from RPM so this is fundamental background you must master. Get used to SSH for issuing remote commands and disable telnet (after you understand SSH, of course). Apache does indeed come fresh and will require a good bit of setup on your part if you are going to be running more than a real server process (i.e. virtual domains). MySQL, PHP, Perl, etc will not be nearly as tricky but each will have its quirks. You'll just have to pore over the installation instructions for each one and follow their guides. Tedious but necessary if done right. Have you ever managed a server before without a GUI? This is a starter response so keep us updated to your progress. You are engaging on a looong path so just have patience and keep plugging. What is included with this fee? What is NOT included with this fee? What you NEED TO UNDERSTAND is they do not include backups of any sort, they are an optional service. You'll need to be sure to backup your own site! PS I'm sure our resident A-hole will weigh in and tell you how little you know and generally abuse you -- be sure to ignore him. Last edited by Ron; 06-25-2004 at 05:31 PM. Well jaguarpc will install the server for you. Meaning if you want them too, they will install red-hat, Apache, Mysql, PHP, cpanel, the basic server apps. Thanks all for the support. I've been digging around and have got off to a good start. I noticed pretty much what you guys have said in that there isn't alot of dedicated people here in the forums and virtually no good topics on what to do once you outgrow your shared plan. So I figured I'd start this and see where it goes. I've never really dug into Unix/Linux OS before and since there is an offer of 6.2 to 9.0 RedHat I didn't know if there were some quirks to one release or the other. It seems that most people run whatever the latest is. I'm pretty familiar with SSH in general. Just never had the need to go in depth other that manipulating some stuff in MySQL and setting up various Cron jobs. Also just for reference, It will be one website, basically like a NukeCops (not a PHPNuke support type site) . It's gonna run CPGNuke with a set of forums in it. I just need my own resources with the traffic I've been seeing. That will make things easier than trying to figure oput how to put a bunch of other sites on there. I'll just start basics and go from there. I think I'll be making use of that quite a bit Thanks Ron for pointing out what should have been obvious. Last edited by tank; 06-25-2004 at 10:13 PM. ...since there is an offer of 6.2 to 9.0 RedHat I didn't know if there were some quirks to one release or the other. It seems that most people run whatever the latest is. Yes, each version will have its own quirks. Since Jag can apply patches and kernel upgrades(if they install), get the latest stable release and just keep up with the patch list. A full OS upgrade to a newer version will cost extra, though, according to Ron's reference, as will kernel upgrades. That is one of the advantages of the managed solutions; however, I'm of the opinion that after install, keep a small emergency fund available for those cases in which you must have Jag's help if you don't want managed. You'll probably do just fine but a production server needs intellectual back-up too. ...if other people can learn it then so can I. Good thinking. And you'll learn things that will apply to every *nix and administration job you ever perform. ...I think alot of people are just scared of them. And the cost and relative overkill considering most users' needs. But Jag's price structure seems very competitive so I wouldn't have too many reservations. Last edited by Spathiphyllum; 06-25-2004 at 10:45 PM. Anyway, good luck in your venture! Sounds like you're in for some fun! ...Jag's price structure seems very competitive so I wouldn't have too many reservations. Vin - Lots a equally competitive ways to skin the cat as it were. DELL makes fine equipment and colocation with either DELL, IBM, SUN, etc or "brown-box" would suit me fine if I had the need. Personally, from a web admin POV, I'd rather go with a minimally managed solution (as you mentioned) with whatever box I had to save some of the tedium of day-to-day oversight since systems administration would not be the main focus of my work. To each his own... definitely. As long as tank has patience, he'll do fine since the box will do exactly what he tells it to do. Any suggestions on what to install and what... to run? I ordered the box today! P4 2.4 Ghz 1GB RAM It will be running on Fedora as it seem the best after talking to JagPC about it. I am ready to upgrade to a dedicated server from my semi-ded plan, but have never worked on a dedicated box. I've read through the info on the site and have started a thread in the forums to get some tips etc but I have a question or two about pricing and setup. 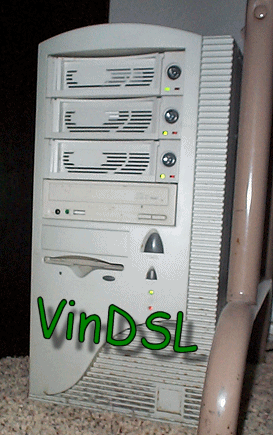 I'm looking at the DS240, Cpanel, extra 512mb RAM. 1) In the pricing of the dedicated box there is a monthly fee, the RAM upgrade fee, cpanel fee. Do I also have to pay the cabinet space fee or is that for Co-Lo only? 2) You guys will install the latest releases of MySQL, PHP, etc? What about Apache? Will it be a plain vanilla setup or will it be setup like your shared boxes? 3)Once I sign up and get things rolling I will have two accounts for a short period of time. Will I be charged for both? Since they are under the same domain name how will I log in to support and differentiate between the two? 4) Any other fees or tips I'm missing? Any Cpanel Demo for the dedicated version? Just wondering what all it does that is different from what I have. You will not need to pay any rack or cabinet fees, those are included in the price of our dedicated server offers. You will have to pay for the extra ram and/or cpanel if you do decide to add those. Your dedicated server will be setup with the same installations as our shared environments. The software config we use on our shared servers is our standard installation that we use on all our boxes, except for our own personal ones (ie the jaguarpc.com site, etc) . If you plan to keep the semi-ded account live a short period after you have add a dedicated server then yes you will be paying for both. What you may want to do is order a dedicated ~15 days or so from the renewal date of your semi-ded account. We will bill you for the dedicated and get it setup. Then you can use the next 15 days moving anything and updating dns. Of course you could cut it closer, say 10 days or so but the more you cut the riskier it gets that you run into the renewal date of your semi-ded again. Be sure to open a ticket, email sales, or even call us to cancel the semi-ded plan when you want to cancel it. You should be able to order a server, ask one of our staff/techs to transfer your site over, and be moved in a day, two max. Then update your dns with the new ip. These guys rock. Looking forward to getting this thing up and running. BTW, they had my srever set up and running within 1 day of the request. Nice! Last edited by tank; 06-29-2004 at 05:12 PM.